Defogger is present in most of the variants of Toyota Etios Cross, thereby making sure that the driver gets clear view of his surroundings at all times, in all weather conditions. Etios Cross rear windscreen defogger is pretty effective in clearing the mist but one needs to remember at all times that this system, takes up a lot of battery, energy and power from the engine therefore it should be switched off manually as soon the windscreen is clear, even if the settings say that it will be switched off after a certain period of time. This helps save fuel consumption as well. Typically a the defogger takes up about 10 – 12bhp of power from the engine and heats up the glass to about 29 degrees Celsius to 30 degree Celsius. This heating helps clear fog and mist from the screen. Basically, fog gets settled on the windscreen when the temperature outside is lesser than temperature inside the car. With the heating of the defogger that’s present on the windshield, this temperature difference is controlled which leads to clearing up of the screen. 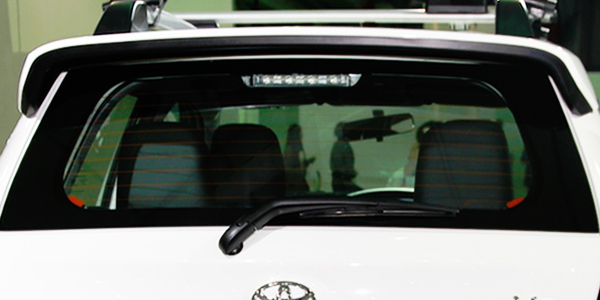 The variants of Toyota Etios Cross that offer defogger as standard include 1.2 X Edition, 1.4 X Edition, G, GD, V, VD.